One of the things about writing professionally is that you tend to run out of words by the end of the day. Even a blog write-up is a baffling prospect. Fortunately, I’m not weaving for a living! For my birthday this year, I got a beautiful cherry inkle loom from SpriggsCreations. 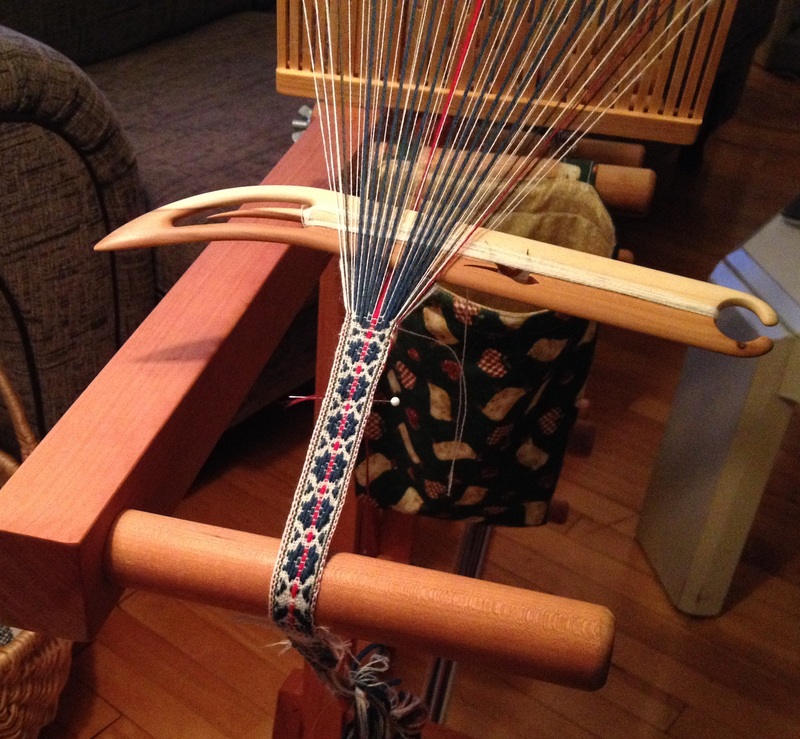 It has all of the features I was looking for in a floor inkle loom: easily adjustable tension, sturdy pegs, and that horizontal bar that lets you sit closer to the loom than three-pronged looms like the Cendrel. To go with the loom, I received a just-as-beautiful Sami shuttle from Ampstrike, which I have long wished for. It’s even better than I thought! Using the shuttle with a rigid heddle designed for supplementary-warp bands, picking out patterns is almost as fast as treadling a floor loom. Much more to come on this subject. 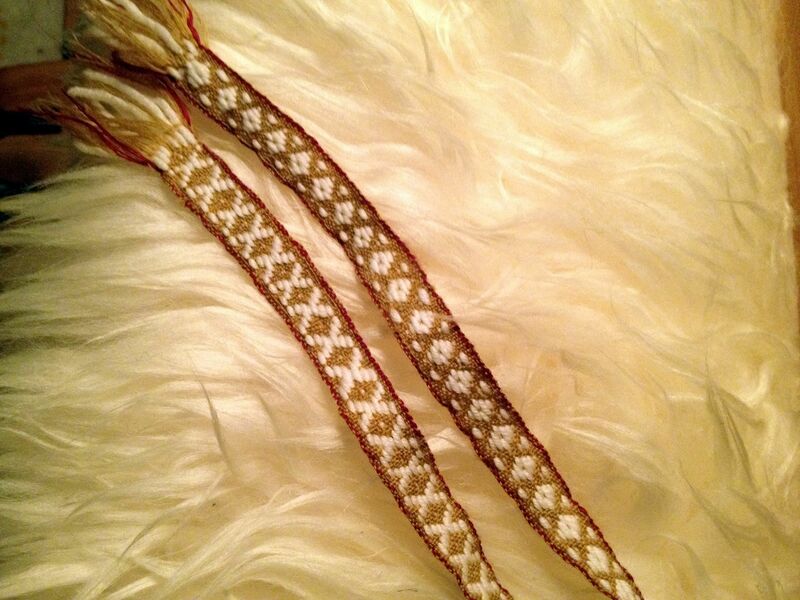 I’ll be teaching a Baltic band weaving workshop at my guild in January. In the meantime, know that many band warps have been wound and woven: mostly wound, since I’m having so much fun trying out new things! 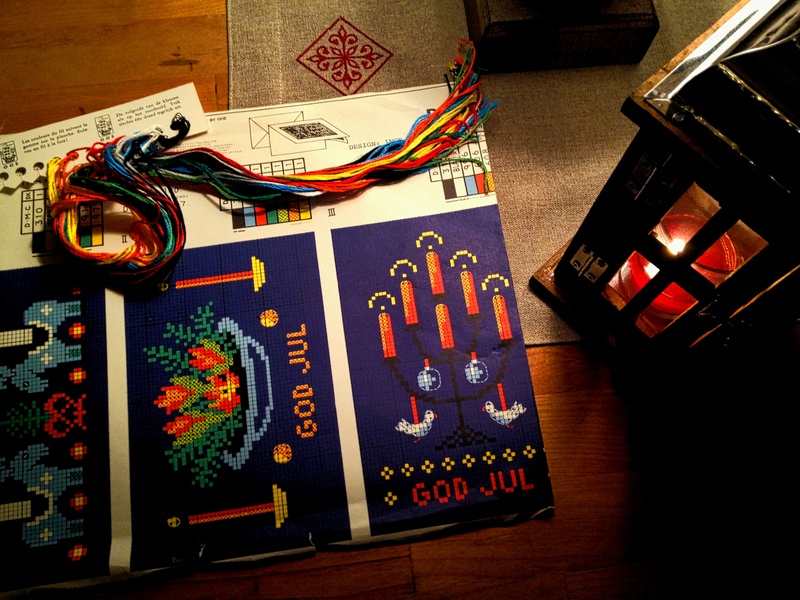 In keeping with the Scandinavian angle that my crafting has taken of late, I dug out an embroidery kit that my mom found at a thrift shop for the grand sum of twenty-five cents. Isn’t it cute? It might even be done in time for Christmas.